This sign is for Royal Triton Motor Oil. The sign’s colors are blue, red, and white. 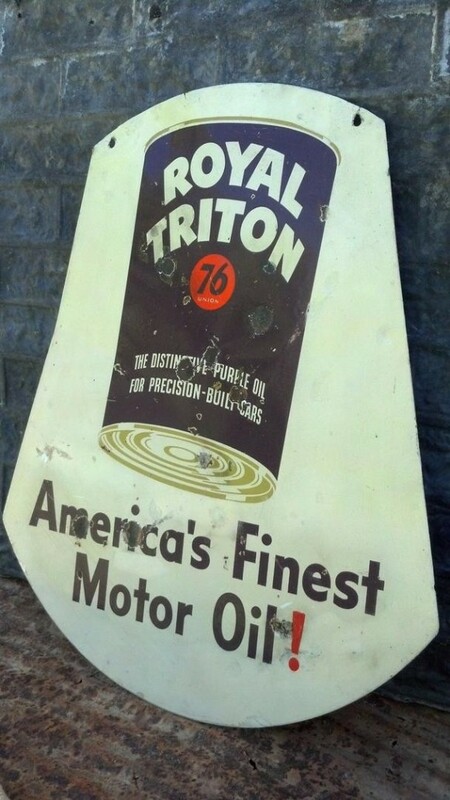 The text on the sign reads: Royal Triton 76 Americ’as Finest Motor Oil. The sign shows a can on the top half of the sign and text below.